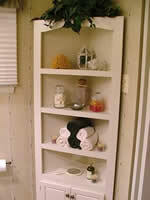 A corner shelf or set of corner shelves are not complex build projects. 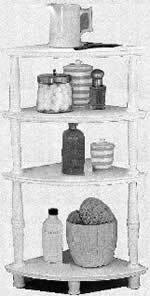 These corner shelf and shelves plans and accompanying instructions are for the entry to mid level woodworker or home handyman. 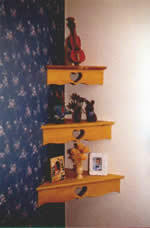 Selection of manufactured corner shelves . Basic corner shelf - very limited instructions.